Experience a tradition of excellence, when you visit Mt. Lookout Dentistry. We offer an array of dental services including: preventive dentistry, cosmetic dentistry, restorative dentistry, and implant dentistry. We are committed to relationship based, quality care. It is our mission to educate and guide our patients through their personalized treatment options, leading them to optimal oral health. We strive to provide a dental experience that incorporates compassion, comfort and the artistry our patients deserve. On our website please find detailed information on commonly asked questions related to dentistry and dental diagnoses. 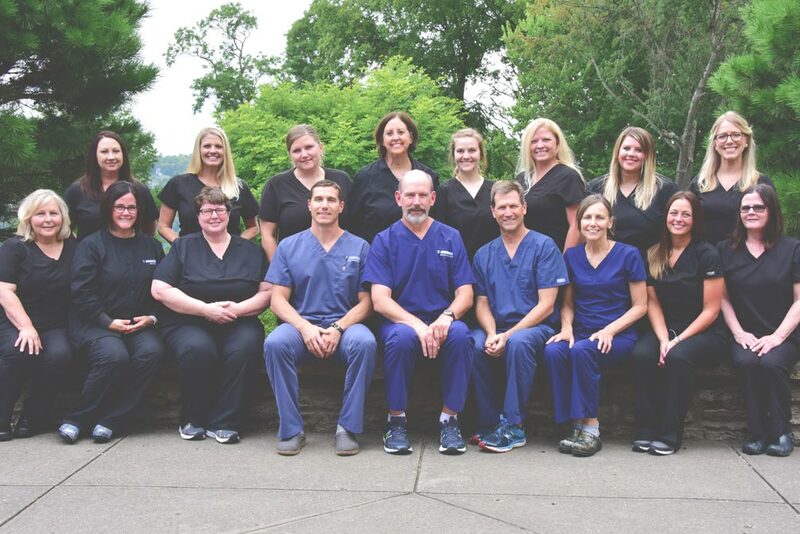 Reserve your appointment today to experience a new standard of dental excellence from dentists that have been recognized as the best in Cincinnati! I became interested in dentistry while undergoing several dental procedures as a teenager. As a result of those experiences, I have developed a unique practice style and philosophy. In the 28 years, I have been practicing dentistry, I enjoy the long-term relationships with many patients that I have cared for, some for the three decades I've been practicing. I am very interested in learning from continuing education opportunities. When I am out of the office, I enjoy teaching and advising colleagues in various study clubs, and working with the residents at The University Hospital of Cincinnati Advanced Education in General Dentistry Program. I was raised just south of Cincinnati in Union, KY. My wife and I live there now, raising one daughter and spoiling one dog. I graduated from the University of Kentucky, and then completed the 'Triangle' by attending the University of Louisville School of Dentistry. Following graduation, I came home to complete an Advanced Education in General Dentistry residency at the University Hospital in Cincinnati-where I met and worked with Dr Croop. Although a Kentucky native, I spent most of my career pursuing the many educational and professional opportunities that Ohio has to offer. I graduated from Xavier University and Case Western Reserve University School of Dental Medicine, and completed my General Practice Residency at the Veterans Administration Hospital in Louisville, Kentucky. While growing up in Reading, Ohio, I lived across the street from my dentist, Dr. Richard Matre. Because of this, Dr. Matre became a source of inspiration and was an excellent role model to a young Bob Bertsch, who was becoming increasingly interested in mechanical endeavors. Later on, I was able to incorporate that interest with a desire to work in health care in my pursuit of a career in dentistry.